"Libraries, Archives and Museums : Common Challenges, Unique Approaches"
The Rizal Library, Ateneo de Manila University cordially invites you to its 5th International Conference with the theme, Libraries, Archives and Museums: Common Challenges, Unique Approaches. 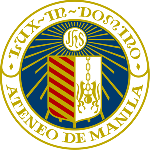 It will be held on October 25-26, 2012 at the Leong Hall Auditorium, Ateneo de Manila University, Quezon City, Philippines. Acquisition and appraisal of materials has changed over the years. This holds true for libraries, museums, and even archives. Traditional ways of acquiring and appraising materials are now being challenged by the emergence of and by the increasing number of materials being borne digital and works of art made of non-traditional items and materials. This subtheme will cover new ways of acquiring and appraising materials for inclusion to the collection of libraries, archives, and museums. The growth of cultural and academic materials available commands expansion of the physical storage of these materials. A growing collection requires designing quality-driven physical and virtual spaces, reassessment of network infrastructures, space redesign for scalability and flexibility, and evaluating as well as understanding green initiatives for future planning. This subtheme provides a discussion toward space management processes for libraries, archives, and museums. It includes architectural design and space planning; green and other technology considerations and provisions for future developments. Guardianship is one of the roles of libraries, archives and museums. Provisions for collections to endure time necessitate the implementation of a sustainable preservation and conservation program. Identifying traditional or innovative preservation activities, careful selection of tools and use of long-lasting media, developing workflows to address materials sustainability, environmental control, and digital preservation are a few strategies this subtheme will seek to provide for information managers. Libraries, archives and museums contain a lot of information and offer a lot of services but because of competition with other information providers, they have to market and promote themselves to actual and potential users to make them the information service of choice. This subtheme will deal with tried and tested approaches to identifying products and services, reaching target markets, branding, fund raising, and planning marketing and promotion activities to increase the market position and sustainability of libraries, archives, and museums. The Internet has made the global dissemination of information possible. Therefore, the production of born and reborn digital information has become the norm in creating and sharing knowledge. This subtheme is concerned with the issues and trends in standards, metadata, copyright management, and preservation of digital information and knowledge. Disasters happen when least expected and pose significant irreversible damage. As caretakers of human history, archives, libraries, and museums are expected to have concrete plans of securing their collection in times of environmental and man-made disasters. This sub-theme aims to present the efforts of libraries, archives, and museums in disaster management with emphasis on disaster preparedness and prevention; disaster mitigation and risk assessment; recovery and response procedures; and collection valuation and insurance. Mankind’s historical and cultural imprint on this planet is highly immortalized through works of art, architecture, books, manuscripts, oral traditions, and others. These valuable treasures are in danger due to the passing of time, years of neglect, and mishandling. This subtheme will deal with traditional as well as new innovative techniques in the preservation and conservation of cultural heritage materials to preserve these unique and irreplaceable legacies for future generations to come. Research is important in any discipline because it enriches the evidence-base for it. This subtopic aims to encourage students to disseminate findings of their researches on the theme and enlighten other students about how good research is conducted.